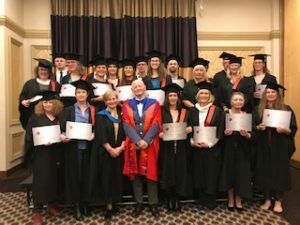 Dr Raymond B Cadwell, PhD is delighted to announce the Graduation of 23 Certified Applied Biomagnetic Therapists on 10th March 2019. Each student has been judged to have fulfilled all the requirements for Certification by the Institute of Biomagnetic Therapy and been evaluated as competent to practice. We congratulate them all for their achievement as Pioneers in this wonderful therapy.